The Canadian beef industry has made great strides in the last few years, bringing the entire country together on the creation of the National Beef Strategy. As a part of the National Beef Strategy, it was identified that Issues Management continues to be an area of focus for the industry, and that increased funding and attention needs to be given to ensure that the general public has a positive relationship with our industry. 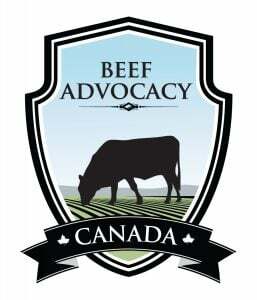 The Beef Advocacy Canada program, which originated as a partnership program between Canada Beef and the Canadian Cattlemen’s Association (CCA) has recently been moved into the Issues Management plan, which engages the five national beef organization partners and is a very positive move for the program. It ensures continued focus, funding and management of the Beef Advocacy program, which educates industry advocates and provides advocacy opportunities for producers to tell their story in public forums. The program currently has a total of 531 registered advocates. Course One of the program includes a very high level overview of the Canadian beef industry, production and beef itself. This level is open to anyone interested in learning more, including the general public, consumers, students, educators and more. It also helps beef producers to confidently speak about not only their own area of the value chain, but other areas as well. Course Two covers material that is often considered “hot topics” in the industry, such as more in depth discussions and key messaging around hormones and antibiotics, sustainability, beef and human health, and how to be a responsible advocate. Those who complete Course Two, generally producers and industry influencers, are then encouraged to actively advocate in their communities, and are often called upon for opportunities across the country such as interviews, presentations, or hosting farm-to-fork tours on their operation. To learn more about the program visit www.beefadvocacy.ca, or visit the Facebook or Twitter pages to access resources to help you tell your #cdnbeef story.